Hockey Source, a Kennewick-based retail hockey equipment business is opening a store here in Spokane. They have leased 2,900 square-feet of space in the Tombari Center, at 98 E. Francis. This is their second location. Unlike their Kennewick store, you can bet they won't be selling Tri-City Americans jerseys here. You can learn more about Hockey Source on Facebook. Brooklyn Deli & Lounge formerly at 122 S. Monroe has closed that location and is moving to the Montvale Hotel in the space formerly occupied by Scout. They are scheduled to re-open this month. Find out more about Brooklyn Deli and Lounge on Facebook. Two new tenants have moved in to Spokane Industrial Park. Smart Smoke which distributes and sells premium electronic cigarettes has leased 6,000 square-feet in building 2. And Everlasting Scents, a pet products manufacturing business has leased 4,000 square-feet of space in building 12. 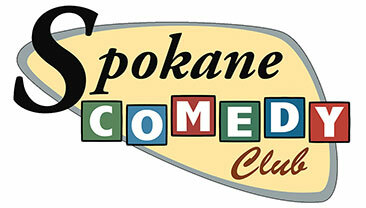 Spokane Comedy Club, a new stand-up comedy venue, bringing some major stars to Spokane, is remodeling 6,000 square feet of space at 315 W. Sprague, just east of the Hutton Building, with plans to open on St. Patrick's Day. Among the big names due to appear are Kermit Apio on March 25 and 26, and Pauly Shore coming May 13 and 14 with two shows per night. Long time Spokane banker Kellie Yates has been appointed senior vice president, commercial banker at RiverBank. She has 35 years of community banking experience. McDonald's at 3416 N. Market St. is going to be moved next door to its current location and replaced with a newer, more modern restaurant with an updated look, and a two lane drive through. The new McDonald's with 4300 square feet of space that includes a dining area, and is scheduled to open in June. Marketing Associates of Spokane will host a special presentation on Drone Tips, Tricks, and Rules, this Thursday, March 10 from 11:3am to 1pm at the Spokane Convention Center, 334 W. Spokane Falls Blvd. In the past five years, drone technology has exploded onto the stage as a compelling tool for industrial applications. Flight Evolved will specifically focus on tangible ways that architects, engineers, and developers can integrate this technology into structural inspections, thermal imaging, CAD mockups, and marketing presentations. Insurance and FAA rules and regulations are something to keep in mind with flying a drone. CB Lawyers will discuss indemnification provisions with your hired drone company and the liability associated with flying a drone. 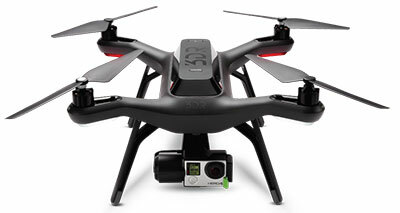 Flight Evolved has been at the forefront of aerial technologies for close to 5 years. They have a diverse portfolio that covers everything from Hollywood film sets, to thermal inspections, to documentaries with the US Department of the Interior. Presentation topics include Introduction to Drones, Overview of Drone Technology, Contemporary Case Studies of Drones in Architecture and Engineering, and FAA Rules and Regulations. 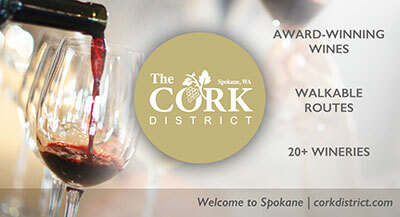 For more information and to register, visit maspokane.org. The Museum's Summer Camps are now open for registration. Camps are available for children in grades 1 through 6. Adventure camps, art camps, natural science camps and more. A full listing of camps is available on the Museum's website, www.northwestmuseum.org. Quality Inn Oakwood at 7919 N Division Street has received a 2016 Platinum Hospitality Award from Choice Hotels International for the fifth consecutive year. 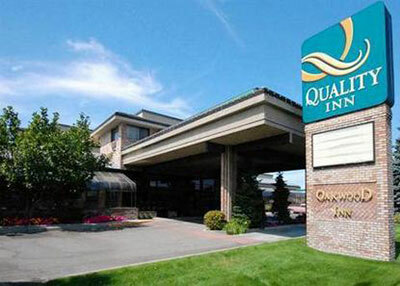 This annual award is given to the top 3% hotels within the Quality Inn brand based on a variety of criteria including guest satisfaction ratings. Outback Steakhouse will celebrate their grand opening at the new NorthTown Mall location tomorrow March 8 from 3 to 4pm with a ribbon cutting ceremony. Representatives from Outback Steakhouse will be joined by Greater Spokane Incorporated (GSI) and Second Harvest. The new restaurant will feature a 'Modern Australia' design with decor that mirrors the indigenous flora and fauna, adventure, geography and leisure of modern day Australia. To show its support of the local community, Outback is partnering with Second Harvest on March 14, when a portion of the day's proceeds will benefit the food bank and its services. Second Harvest is a regional hunger relief organization founded in 1971. They distribute over two million pounds of free food each month to help people in need in 26 counties in Eastern Washington and North Idaho. Partnerships with more than 250 neighborhood food banks and meal centers make it possible to feed 55,000 people each week. 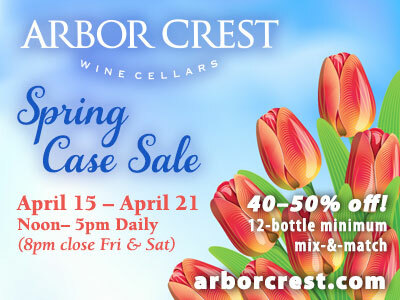 Visit www.2-harvest.org for more information. Samuel C. Thilo and William O. Etter have been named partners/shareholders at the Witherspoon Kelley law firm here. Thilo focuses his practice on civil litigation and corporate legal matters, and Etter is a tax attorney whose practice focuses mostly on transactional corporate law, estate planning, and probate law and litigation. Both joined Witherspoon Kelley in 2010. Rebecca Copeland has joined ALSC as an Interior Designer. She earned her Bachelor of Science in Interior Design from Virginia Tech in 2015. Rebecca's assignments include Sunrise Elementary School for Central Valley School District and the Gonzaga University Center for Athletic Achievement. Connor Nicholas has joined ALSC as an Architectural Designer. He earned his Masters of Architecture from the Savannah College of Art & Design in 2013. Connor is applying his design and graphics expertise to several housing and community-related projects for ALSC. David Waddoups has joined ALSC as an Architectural Designer. He earned his Masters of Science in Architecture from the University of Idaho in 2015. David is assisting with the Spokane Community College North Spokane Corridor Interface Master Plan Project and a new Maintenance Shops and Office Facility for Kennewick School District.